We are delighted to invite you to RePUBlik, situated in the Seoul street. RePUBlik has become the favorite destination for grabbing a drink after work and sharing made-to-order menu items with friends and family. Come mix and mingle with fellow expats and global minds on a Friday night! As always, it is a free event. Please sign-up and join us. Feel free to bring your friends and guests, and don't forget to tell them to sign up for InterNations first. 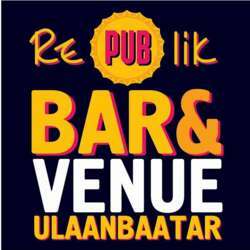 We look forward to greeting you all in the beer club and helping the InterNations Community with their growth in Ulan Bator!